The Canary Islands are not, as you might think, just full of ex-pat bars and restaurants selling all day breakfasts and roast dinners. Traditional Canarian food and Spanish tapas are plentiful and if you know where to look there are some hidden gems that offer a true taste of the Canaries. There a few dishes that you will struggle to avoid on your holiday that draw upon the traditional Spanish, North African and Portuguese influences on Canarian food. Not only are all of these dishes delicious, they are also healthy, made with fresh, local ingredients. Mojo – A spicy sauce made from peppers and chillies, with paprika and cumin, garlic and olive oil. It is best served with potatoes and fish. Papas Arrugadas – These potatoes are often served with mojo and are baked in salt until wrinkly. Gofio – This doughy mixture is made from ground maize and wheat and is often added to stews and soups, as well as sweet dishes and desserts. The restaurant ‘El Diablo’ located in the Timanfaya National Park offers authentic Canarian cuisine, cooked by the natural geothermal heat that escapes from the ground in this volcanic region. The views from the restaurant are stunning, looking over the volcano and the surrounding grounds, designed by Cesar Manrique. The meat is grilled over a metal plate, warmed by the heat escaping from the ground. This traditional restaurant set in a beautiful windmill with a balcony looking over the gardens. 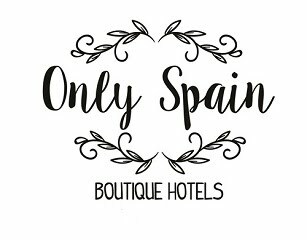 They serve traditional Spanish seafood and tapas and have a huge wine cellar to provide the perfect accompaniment to your Canarian meal. The El Embrujo Spanish restaurant boasts dishes from all over the country including Castilian, Andalucían and Galician dishes. The traditionally Spainish décor and large terrace create an authentic, relaxing atmosphere, with attentive staff and delicious food. La Lola is the tapas bar that you will find attached to the restaurant, which has a large selection of tapas dishes and wines, perfect for lunchtime, dinner or a snack in between. A not so easy to find gem which serves wonderful food over two storeys of a restored Canarian mansion, with a restaurant upstairs and the tasca bar downstairs. Here you will find the perfect wines to accompany the appealing Spanish dishes.